David Percival Tempest was born in West Derby in 1880. His family moved to Wolverhampton, and he attended both St Peter’s and the Higher Grade Schools. In the 1901 census he was living with his mother, Harriett, his sisters Nellie and Stella, and a visitor (Alfred Jones), a boarder (H. Ryeland Leigh) and a servant (Elizabeth Smith) at 39 Melbourne Street. By this date he was a warehouse clerk, and he worked for 14 years for Meynell and Sons, Montrose Street. He married Lily Ann Fowler in 1910, and they went on to have a daughter, Marjorie, in 1911. David served as a Company Quartermaster-Sergeant with the South Staffordshire Regiment. He served in Ireland and was killed in Dublin during the Irish Rebellion on 29 April 1916. 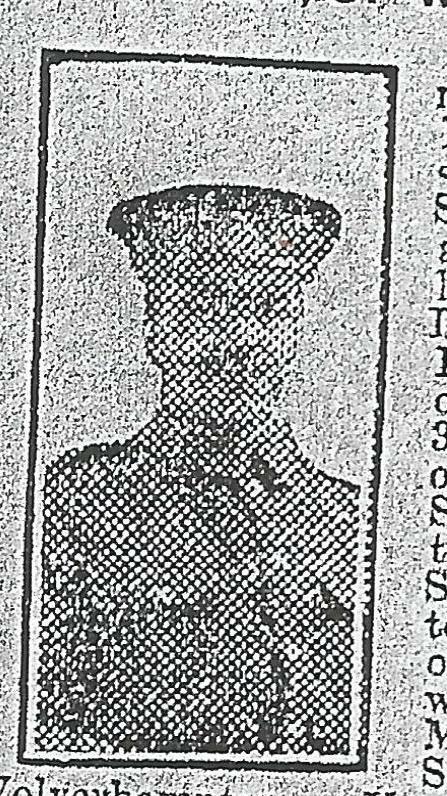 An article on him appeared in the Midland Counties Express on 6 January 1917, and he was mentioned in the Express & Star on 12 May 1916 as one of “Nine Black Country Men Killed”. He is buried at the Grangegorman Military Cemetery in Ireland, and commemorated on the Higher Grade School Roll of Honour.